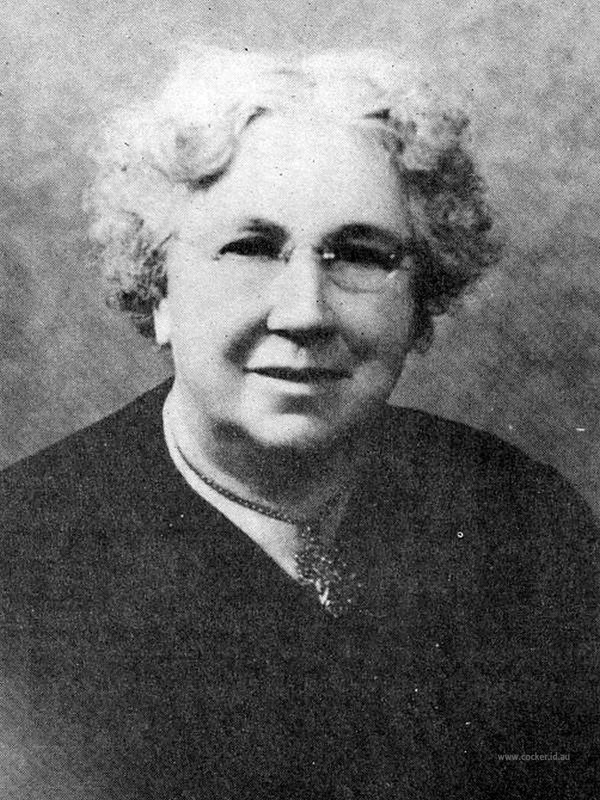 3-Martha Sophia Walker was born on 16 Feb 1875 in Exton, Tasmania, died on 7 Nov 1960 in Wynyard, Tasmania at age 85, and was buried in Nov 1960 in Somerset. Martha married Frederick David Erven Hay, son of Douglas Johnson Hay and Anne Herman, on 25 May 1899 in Launceston. Frederick was born on 28 Feb 1875 in New Norfolk, died on 21 Jun 1961 in Somerset at age 86, and was buried in Jun 1961 in Somerset. Before her marriage Martha worked as a domestic in Launceston for a very nice couple. Fred left school at 15 and worked at J. & T. Gunns Launceston sawmill. He learned the trade and they moved to the north west coast where they opened up sawmills at Redpa, Edith Creek and Trowatta. Martha and Fred had a happy family of nine children, 5 boys and 4 girls. They celebrated their diamond wedding in 1959 with all their family present. Martha died 7th November, 1960, Fred died 3rd February, 1961. There are only three of the children still living. 4-Sidney Eric Hay was born on 9 Nov 1899 in East Devonport, Tasmania and died on 1 Jun 1962 in Melbourne, Victoria at age 62. Sidney married Lily Edith Parker on 30 Apr 1930 in Seymour, Victoria. Lily was born on 2 Oct 1905 in Exton, Tasmania and died on 22 May 1990 in Melbourne, Victoria at age 84. They had seven children: Daphne Edith, Harold Sydney, Alan Ewart, Ivan Noel, Neville Roy, Beverley Dawn and Lorraine Joy. 5-Daphne Edith Hay was born on 7 Aug 1931. Daphne married William Moles. They had two children: Alan and Jennifer. 6-Alan Moles was born on 23 Oct 1952. 6-Jennifer Moles was born on 13 Sep 1958. 5-Harold Sydney Hay was born on 7 Dec 1932. Harold married Beverley Pilkington. Beverley was born on 7 May 1934. They had three children: Geoffrey, Peter Grant and Stephen. 6-Geoffrey Hay was born on 13 Dec 1959. 6-Peter Grant Hay was born on 26 Apr 1962. 6-Stephen Hay was born on 21 Jun 1963. 5-Alan Ewart Hay was born on 21 Aug 1936 and died on 21 Dec 1983 at age 47. 5-Ivan Noel Hay was born on 21 Jul 1938. Ivan married Barbara Page. Barbara was born on 15 May 1944. They had five children: David, Bradley, Darren, Brett and Vanessa. 6-David Hay was born on 1 Jun 1963. 6-Bradley Hay was born on 7 Sep 1966. 6-Darren Hay was born on 7 Nov 1967. 6-Brett Hay was born on 25 Feb 1969. 6-Vanessa Hay was born on 4 Nov 1970. 5-Neville Roy Hay was born on 29 Apr 1940. Neville married Lynette McDougall. Lynette was born on 6 Nov 1945. They had four children: Lisa, Angela, Grant and Pia. 6-Lisa Hay was born on 16 Jul 1966. 6-Angela Hay was born on 15 May 1973. 6-Grant Hay was born on 5 Mar 1974. 6-Pia Hay was born on 15 Feb 1982. 5-Beverley Dawn Hay was born on 8 Jan 1942. Beverley married Raymond Dobson. They had two children: Carolyn Dawn and Mark. 6-Carolyn Dawn Dobson was born on 16 Jan 1961. 6-Mark Dobson was born on 1 Jan 1962. 5-Lorraine Joy Hay was born on 4 Jan 1948. Lorraine married Terry Love. Terry was born on 10 Nov 1946. They had two children: Vicki and Debbie. 6-Vicki Love was born on 21 Feb 1971. 6-Debbie Love was born on 25 Apr 1974. 4-Norman Douglas Hay was born on 8 Apr 1901 in Ulverstone, Tasmania, died on 31 May 1984 in Smithton at age 83, and was buried in Jun 1984 in Circular Head, Tasmania. Norman married Alice Jane Baker, daughter of Charles Baker and Sophia Redman, on 14 Jun 1930 in Church of St Paul, Stanley, Tasmania. Alice was born on 8 Jun 1908 in Burnie, Tasmania. They had three children: Murray Norman, Roger Donald and Margaret Jean. 5-Murray Norman Hay was born on 19 Mar 1931 in Smithton. Murray married Audrey Winifred Greene. Audrey was born on 11 Mar 1932. They had five children: Rosemary Jean, Douglas Arthur, Glendon John, Lorraine Joy and Neville Christopher. 6-Rosemary Jean Hay was born on 8 Jan 1954 in Smithton. Rosemary married David John McBain. David was born on 9 Sep 1954. They had two children: Alison Maree Joyce and Catherine Louise. 7-Alison Maree Joyce McBain was born on 4 Aug 1982. 7-Catherine Louise McBain was born on 21 May 1984. 6-Douglas Arthur Hay was born on 4 Mar 1955 in Smithton. Douglas married Deborah Anne Withers on 13 May 1978 in Burnie, Tasmania. Deborah was born on 13 May 1960 in Roseberry. They had three children: Ricky Troy, Nicole Marie and Scott Andrew. 7-Ricky Troy Hay was born on 25 Sep 1978. 7-Nicole Marie Hay was born on 10 Jul 1980. 7-Scott Andrew Hay was born on 3 Aug 1987. Douglas next married Tracey Pell about 1995. Tracey was born on 5 Sep 1958 in Hobart, Tasmania. 6-Glendon John Hay was born on 12 Mar 1956 in Smithton. Glendon married Lynette Gail Voss. Lynette was born on 5 Jun 1958. They had two children: Emma and Amy. 7-Emma Hay was born on 5 Mar 1987. 7-Amy Hay was born on 7 Sep 1989. 6-Lorraine Joy Hay was born on 27 May 1957 in Smithton. Lorraine married Christopher John McCrae. Christopher was born on 13 May 1955. They had two children: Ian Rodney and Andrew John. 7-Ian Rodney McCrae was born on 11 Jun 1978. 7-Andrew John McCrae was born on 9 May 1980. 6-Neville Christopher Hay was born on 15 Feb 1962 in Smithton. Neville married Karen Anne Butler. Karen was born on 10 Aug 1963. They had two children: Belinda Alice and Melanie. 7-Belinda Alice Hay was born on 5 Feb 1985. 7-Melanie Hay was born on 5 Dec 1986. 5-Roger Donald Hay was born on 16 May 1938. Roger married Betty Nina Fielding. Betty was born on 11 Jul 1942. They had two children: Sandra Anne and Donald John. 6-Sandra Anne Hay was born on 8 Nov 1961. Sandra married Paul Geoffrey Cameron. Paul was born on 17 Jun 1960. They had two children: Janine Anne and Marie Ruth. 7-Janine Anne Cameron was born on 1 Dec 1981. 7-Marie Ruth Cameron was born on 10 May 1984. 6-Donald John Hay was born on 19 Aug 1962. 5-Margaret Jean Hay was born on 3 Dec 1940. Margaret married William Peter Moore. William was born on 6 Oct 1938. They had three children: Michael Joseph Norman, Craig William and Elisa Alice. 6-Michael Joseph Norman Moore was born on 14 Jul 1965. 6-Craig William Moore was born on 24 Mar 1969. 6-Elisa Alice Moore was born on 29 Mar 1970. 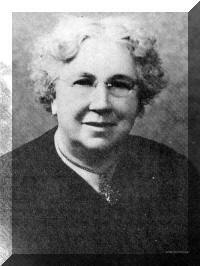 4-Louisa Ann Hay was born on 18 Nov 1903 in Ulverstone, Tasmania and died on 3 Sep 1983 in Burnie, Tasmania at age 79. Another name for Louisa was Louisa Annie. Louisa married Thomas Henry Harman, son of Richard Henry Harman and Emma Jane Davis, on 26 Dec 1928 in Smithton. Thomas was born on 9 Jan 1902 in Wynyard, Tasmania and died on 21 Mar 1986 at age 84. They had five children: Brian Thomas, Kathleen, Graeme Frederick, Neil and Colleen Mary. 5-Brian Thomas Harman was born on 4 Feb 1929 in Smithton and died on 1 Oct 2004 in Wynyard, Tasmania at age 75. Brian married Reema Watts. Reema was born on 2 Aug 1926. They had one daughter: Dianne. 6-Dianne Harman was born on 30 Nov 1958. Dianne married Matthew John Cooke. Matthew was born on 27 Sep 1957 and died on 21 Mar 1986 at age 28. They had one son: Ryan Thomas. 7-Ryan Thomas Cooke was born on 16 Jun 1984. 5-Kathleen Harman was born on 11 Nov 1933. Kathleen married Mervyn Davis. Mervyn was born on 12 Dec 1929. 5-Graeme Frederick Harman was born on 5 Jun 1936 in Smithton and died in 2006 in Launceston at age 70. Graeme married Ruth Burden. Ruth was born on 30 Mar 1939. They had six children: Suzanne Margaret, Judith Anne, Wendy Jane, Janette Maree, Darren Graeme and Mark Andrew. 6-Suzanne Margaret Harman was born on 23 Apr 1959. Suzanne married Derek Jones. Derek was born on 3 Mar 1951. 6-Judith Anne Harman was born on 24 Jan 1962. Judith married Daniel Bowen. Daniel was born on 4 Mar 1954. They had one daughter: Jodie Anne Ruth. 7-Jodie Anne Ruth Bowen was born on 24 Jun 1980. 6-Wendy Jane Harman was born on 15 Mar 1964. Wendy married Ricky Richards. Ricky was born on 10 Jul 1961. They had two children: Melissa Ruth and Amanda Jane. 7-Melissa Ruth Richards was born on 3 Jun 1980. 7-Amanda Jane Richards was born on 13 Sep 1984. 6-Janette Maree Harman was born on 20 Feb 1966. Janette married Philip Cohen. Philip was born on 7 Jun 1964. 6-Darren Graeme Harman was born on 12 Jun 1970. 6-Mark Andrew Harman was born on 20 Mar 1974. Graeme next married Jean Tittley. Jean was born on 5 Dec 1941. 5-Neil Harman was born on 13 May 1942. Neil married Janice Redman. Janice was born on 27 Feb 1942. They had three children: Michelle, Phillip and Lisa. 6-Michelle Harman was born on 17 May 1966. 6-Phillip Harman was born on 23 Sep 1968. 6-Lisa Harman was born on 14 Oct 1974. 5-Colleen Mary Harman was born on 14 Mar 1945. Colleen married David Wayne Morrison. David was born on 21 Dec 1943. They had four children: Paul Anthony, Gregory David, Trudi Louise and Lyn Marie. 6-Paul Anthony Morrison was born on 15 Feb 1965. 6-Gregory David Morrison was born on 31 Dec 1967. 6-Trudi Louise Morrison was born on 19 Aug 1971. 6-Lyn Marie Morrison was born on 23 Nov 1972. 4-Kathleen Olive Hay was born on 21 Mar 1906 in Stephen Street, East Devonport and died in 2001 at age 95. Kathleen married Edward Keith Sheriff, son of Edward Sheriff and Linda May Gillard. Edward was born on 13 Sep 1905 in Nook. They had one daughter: Elaine. 5-Elaine Sheriff was born on 8 Nov 1941. Elaine married John Blandy. John was born on 23 Jul 1939. They had two children: Carmen and Danielle. 6-Carmen Blandy was born on 2 Jun 1970. 6-Danielle Blandy was born on 27 Jan 1973. 4-Beatrice Lily Hay was born on 25 Mar 1908 in Leesville. Beatrice married William Frederick Bakes. William was born on 14 Dec 1894 in Deloraine, Tasmania and died on 22 Sep 1976 at age 81. They had three children: Merle, Pamela Joan and Florence May. 5-Merle Bakes was born on 31 Jul 1936. Merle married John Owen Mohr. John was born on 28 Mar 1936. They had six children: Jennifer Anne, Michael John, Peter Edward, Maree Catherine, Anthony William and Brendan James. 6-Jennifer Anne Mohr was born on 29 Mar 1957. Jennifer married Donald Trevor Jessup. Donald was born on 5 Nov 1953. They had three children: Stuart Adam, Nicole Peta and Cameron Paul. 7-Nicole Peta Jessup was born on 22 Feb 1979. 7-Cameron Paul Jessup was born on 1 Jan 1986. 6-Michael John Mohr was born on 16 Jul 1958. Michael married Deborah Anne Fisher. Deborah was born on 21 May 1960. They had two children: Geoffrey Michael and Melanie Kate. 7-Geoffrey Michael Mohr was born on 13 May 1984. 7-Melanie Kate Mohr was born on 2 Sep 1985. 6-Peter Edward Mohr was born on 31 Oct 1959. 6-Maree Catherine Mohr was born on 3 Feb 1961. Maree married Danny James Lambie. Danny was born on 3 Feb 1959. They had one son: Jake Stewart. 7-Jake Stewart Lambie was born on 5 May 1981. 6-Anthony William Mohr was born on 19 May 1962. 6-Brendan James Mohr was born on 14 May 1967. 5-Pamela Joan Bakes was born on 27 Aug 1937. Pamela married Edward Pyke. Edward was born on 2 Aug 1924 and died on 19 Apr 1988 at age 63. They had two children: Brett Anthony and Carolyn Louise. 6-Brett Anthony Pyke was born on 20 Sep 1966. 6-Carolyn Louise Pyke was born on 17 May 1968. Carolyn married Darren Mark Calder. Darren was born on 19 Nov 1965. They had one son: Christopher Mark. 7-Christopher Mark Calder was born on 19 Feb 1985. 5-Florence May Bakes was born on 15 Feb 1944. Florence married Royce Kevin Chugg. Royce was born on 10 Aug 1937, died on 24 Mar 1990 in drowned at Couta Rocks, West Coast at age 52, and was buried in Mar 1990 in Smithton Cemetery. They had two children: Craig Arthur and Shane Martin. 6-Craig Arthur Chugg was born on 12 Dec 1962. Craig married Michelle Sparkes. 6-Shane Martin Chugg was born on 6 Dec 1967. Shane married Helen. Florence next married Robert Desmond McCauley. Robert was born on 8 Dec 1936. 4-May Alexandra Hay was born on 21 Apr 1910 in Smithton, died on 22 Sep 1973 at age 63, and was buried in Sep 1973 in Wivenhoe, Tasmania. May married Ronald Albert Gould. Ronald was born on 21 Jan 1899 in Ulverstone, Tasmania and died on 3 Jun 1971 at age 72. They had two children: Peggy Elaine and Judith Ann. 5-Peggy Elaine Gould was born on 9 Jan 1935. Peggy married Frederick Carl March. Frederick was born on 3 Mar 1932. They had three children: Gerald Carl, Paul Justin and Andrew Frederick. 6-Gerald Carl March was born on 9 Mar 1959. 6-Paul Justin March was born on 1 Aug 1960. 6-Andrew Frederick March was born on 20 Apr 1966. 5-Judith Ann Gould was born on 2 Sep 1940. Judith married Victor Richard Newman. Victor was born on 8 Dec 1939. They had three children: Tracey Lee, Wendy May and Scott Richard. 6-Tracey Lee Newman was born on 21 Apr 1963. 6-Wendy May Newman was born on 4 Aug 1967. 6-Scott Richard Newman was born on 27 Apr 1970 and died on 27 Oct 1970. 4-Frederick David Hay was born on 7 May 1912 in Smithton and died on 24 Apr 1978 at age 65. He served in the Second World War.Frederick married Eileen Jean Fisher. Eileen was born on 12 Jun 1932. They had three children: Graeme, Ian David and Judith Wendy. 5-Graeme Hay was born on 30 Jan 1952. Graeme married Ruth Drayon. They had one daughter: Tiffany. 6-Tiffany Hay was born on 10 Jun 1973. 5-Ian David Hay was born on 9 Feb 1954. Ian married Linda Jane Henry. Linda was born on 9 Apr 1963. 5-Judith Wendy Hay was born on 6 May 1956. Judith married Richard Warren. Richard was born on 6 Sep 1946. They had two children: Robert John and Rochelle. 6-Robert John Warren was born on 20 Jan 1978. 6-Rochelle Warren was born on 11 Jun 1980. 4-Robert William Hay was born on 7 Aug 1915 in Penguin. Robert married Madge Reid, daughter of James Reid and Eveline Malley. Madge was born on 3 Aug 1919 in Alcomie, Tasmania. They had two children: Helen and Geoffrey. 5-Helen Hay was born on 5 Oct 1938. Helen married Bruce Rees. Bruce was born on 5 Jul 1930. They had three children: Nicholas Bruce, Jonathon and David. 6-Nicholas Bruce Rees was born on 20 May 1962 and died on 16 Feb 1968 at age 5. 6-Jonathon Rees was born on 10 Jun 1964. 6-David Rees was born on 17 Feb 1967. 4-Basil Hay was born on 7 Nov 1919 in East Devonport, Tasmania and died on 23 Apr 1985 in Somerset at age 65.